Trade show season is underway! 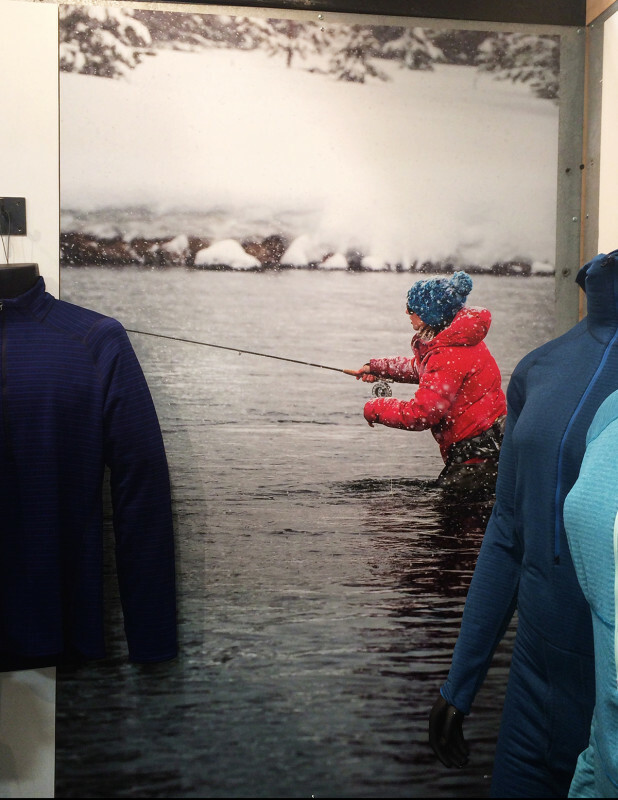 If you’re at the 2014 Outdoor Retailer Winter Show in Salt Lake City, be sure to swing by the Patagonia booth. I’m thrilled to have a wall hanger in the booth this year. The new 2014 Women’s Fish line is currently being launched. While your wandering the show room floor take a stroll over and check it out. Lots of research, testing, round tables, feedback and effort went into this project and in constructing the entire new line-up. Patagonia works with some of the best women in the business, ones who get it done day in and day out. Together they have designed a new women’s line that is made by women for women. Yes, it’s backed by the company’s longtime standard, the Iron Clad Guarantee. It’s also made with forethought by using materials and technology that are environmentally responsible and sustainable, something every outdoor company should strive for and every outdoor enthusiast should insist.